I am maybe the pickiest person ever, so if I’m personally recommending you somewhere to go, chances are you will love it. 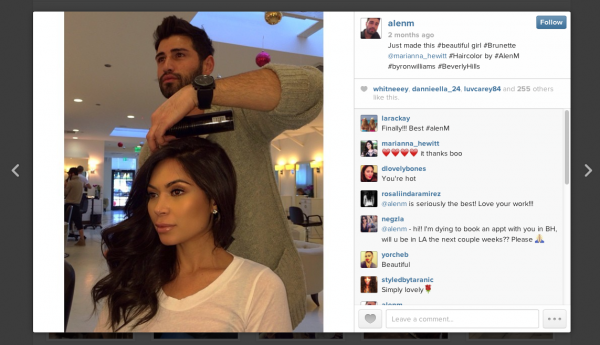 I have tried every hair, nail, tanning anything beauty related place in Los Angeles. When friends come in from out of town or twitter followers ask, I love to share my favorite places to go for any of my beauty treatments. I’ve never been one to not share who cuts my hair, because I want everyone to experience it too! Here is a list of where I get my beauty treatments done in Los Angeles, so if you are visiting or a local definitely try out these places. First lets talk about hair! This is one of my most commonly asked questions. Often girls want to know what color my hair is and I honestly have ZERO clue as I don’t color my hair myself. But I do trust two colorists to really get my color where I want it to be. For my light color, Chrystal Hewitt (no relation) at Rossano Ferretti was doing my color. You can find her at the Beverly Hills location on Canon Dr. 310.598.6780 – she works with an amazing team there under Lorri Goddard who is famous for coloring celebrities like Jennifer Lawrence and Scarlett Johansson. If you can’t get to the salon, you can buy her book on tips for coloring your hair at home. I’ve gone light again and Alen brought be back after a few months of being dark. He did this by bleaching my hair, then toning it and we kept my base the same. I will be going back again, this is just the first phase of going back to how light I want to be. I got asked by a bunch of girls who wanted to know how I go from light to dark without ruining my hair. By going in phases as well as getting the ends trimmed, this has helped. Alen also is having me do masks combined with oil twice a week. Ok so I’ve upated this POST AGAIN! 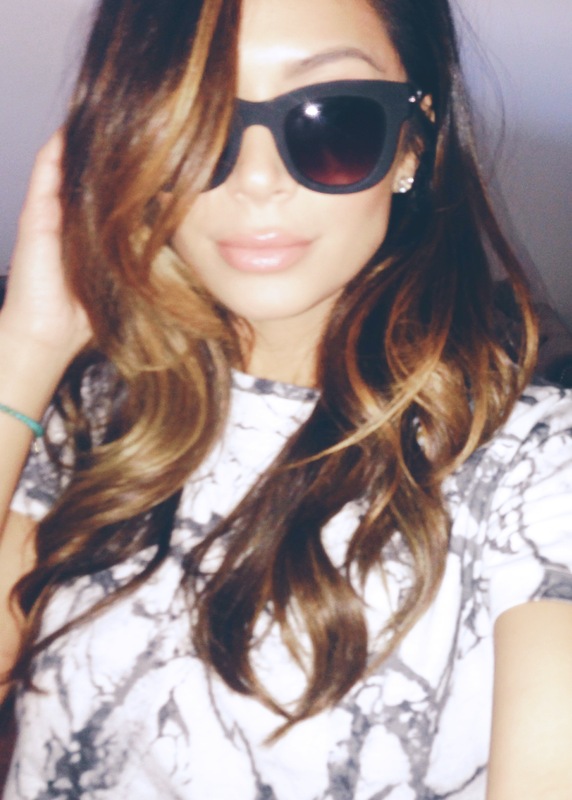 Because I went lighter one more time. For this blonde, I went to Tauni at Nine Zero One in West Hollywood. She spent a few hours to get the color and tone just right and I love it. She takes a few months to get an opening for an appointment, but she is 100% worth it. She also trimmed my hair and gave me an amazing blowout. This is the best blonde I’ve gotten on my hair and wish I had found her sooner. Now if you walk down the street a little bit from Byron Williams, you will find yourself at Jonathan and George salon where I get my cuts. 310.275.2808 If you go here, you will see Jonathan Antin who is co-owner of the salon. But for my cuts, I go to Gaetano he is AMAZING and is the ONLY person who has EVER cut my hair right. LET ME STRESS TO YOU HOW IMPORTANT IT IS TO SPEND MONEY ON A GOOD HAIR CUT. This is not something you want to try and get a bargain for or do at home. I go maybe 1 or 2 times a year, so it is worth the investment for me. Guy also works with Rita Ora and Kendall Jenner. Now if you don’t need a cut or color, but just down for a style you will want to book an appointment at The Drybar. If you live in a major city, chances are there is one close to you. 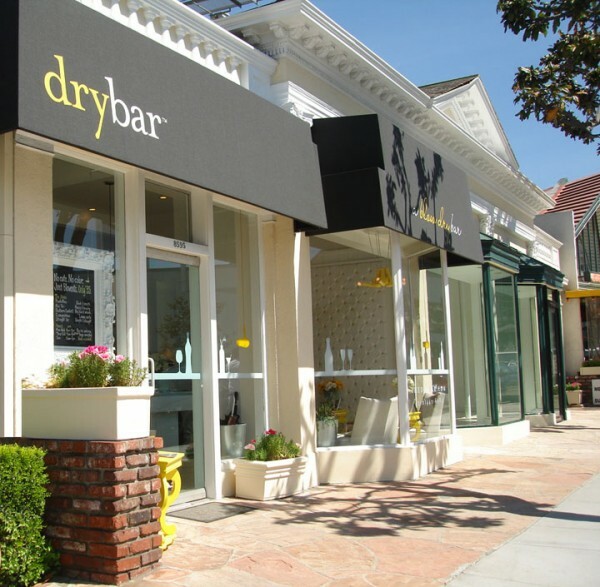 I am an OG dry bar-er and on my old blog about 4 years ago I used to go weekly when they only had 1 location. They have now expanded and I go to the Sunset and 3rd St locations. If you don’t know what a blow bar is, it is a one stop shop for styling where they wash and blowdry your hair for a flat fee. I am here maybe 2x a week – if you want the style I go for, ask for a voluminous blowout using round brushes only with the bend at the ends going away from your face. Finally, the last hair location to go to is for extensions. I’ll be honest, I hate hate wearing extensions and as well as clip ins. But if I do get them done, I don’t want to spend a lot of money. Instead I go to Just Extensions which is an extension bar similar to the Drybar concept where they just do extensions only. I prefer the tape style of hair because it lays flat on my head, only downer is you can’t wear your hair up. So there you have it, everywhere I get my hair cut, colored, styled and extensions. If I forgot something, leave a comment! Keep checking back for more posts where I share where else I go in Los Angeles for my other beauty treatments including, hair, skincare and fitness. 14 Comments | Leave a comment! Thank you for posting. My favorite hair color is red. Very interesting post. And I think it’s very important to choose the right color for different skin tones. Thank you for posting. And I think the best hair color brand is garnier. Good post. And a hair color chart can help us determine the perfect look. Great post. Changing hair colours can overhaul our whole look. I’m tired of paying top dollar for hair color at the salon. I’m learning to color my hair at home. Remember to avoid coloring hair that has just been washed. Great post! Remember to avoid coloring hair that has just been washed. It’s not easy to pick out a color I like. Still learning to color my hair. Red is a versatile colour and there’s usually a shade to suit anyone. Would you be able to provide the average price range for the salons you go to? I’ve been searching for the best salon.. thanks for the info..
First of all you are beautiful. Secondly I love the blond that you got done from Tauni. I have been looking at Allen’s blog and he seems good. 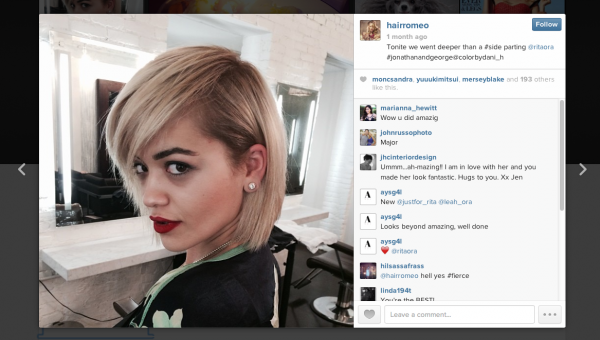 Do you think it would be better to go Tauni to get the look you have. Please email me at your convenience. First of all you are beautiful. Secondly I love the blond that you got done from Tauni. I have been looking at Allen’s blog and he seems good. Do you think it would be better to go to Tauni to get the look you have. Please email me at your convenience.